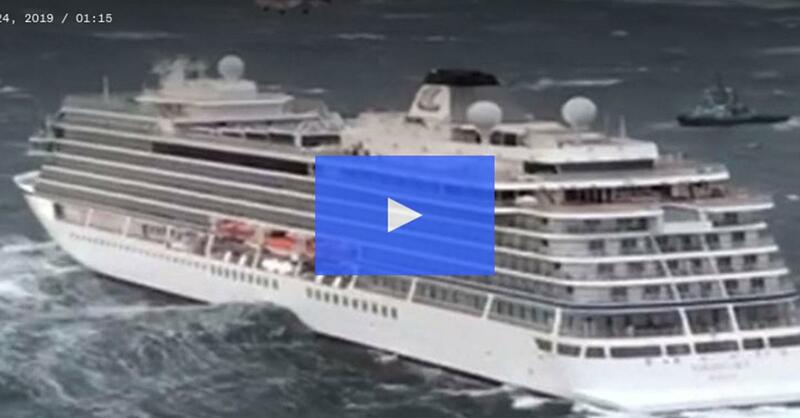 Engine Failure and stormy seas created a nightmare for a Cruise ship carrying 1,373 people on board. The cruise company said 479 passengers had been taken off the ship with 20 of them taken to the hospital with fractures and cuts, but some are also suffering from trauma. Passengers had to be rescued one-by-one and airlifted to a village just north of the nearby town of Molde. The cruise ship docked late Sunday morning in the small city on the northeast coast of Norway.